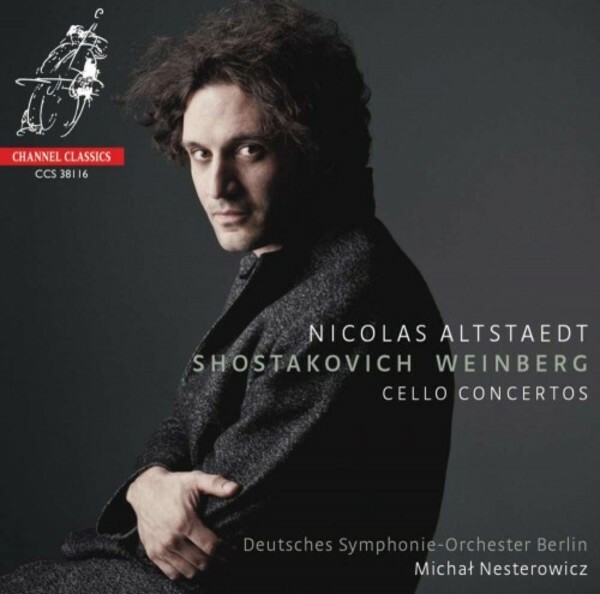 We proudly annouce a new artist on Channel Classics: German/French cellist Nicolas Altstaedt, renowned for his creativity and versatility, in captivating performances of repertoire on both gut and modern strings. On this first recording with Channel he combines music of three comtemporaries. Weinberg, for the western world a well-kept secret of the Soviet Union, was born in Warsaw. In 1939, with German troops at his heels, Weinberg fled to the Soviet Union where he met Shostakovich, whom he viewed as his teacher. With a considerable dash of klezmer music, particularly in the second movement, he seems to have added his own signature to his Cello Concerto. Shostakovich composed both his Cello Concertos for his good friend Mstislav Rostropovich. No.1 contains one of the longest cadenzas of all solo concertos and a finale that is described as �the will to live, as a conquest in the struggle for happiness�. An enormous discipline in terms of form may be discerned in Lutosławski�s music. He had studied mathematics for several years, and in his works he aimed to create clearly perceptible forms and contours. In Stalinist Poland Lutosławski�s Little Suite was embraced and acclaimed as an exemplary model of realism. For more than 65 years the Deutsches Symphonie-Orchester Berlin (DSO Berlin) has distinguished itself as one of Germany�s leading orchestras. The number of renowned Music Directors, the scope and variety of its work, and its particular emphasis on modern and contemporary music, makes the ensemble unique. Since winning the Cadaqu�s Orchestra European Conducting Competition in 2008, Michał Nesterowicz has gone on to conduct many of the major orchestras and ensembles in Germany, Spain, Switzerland, Italy, France, Poland and the UK.